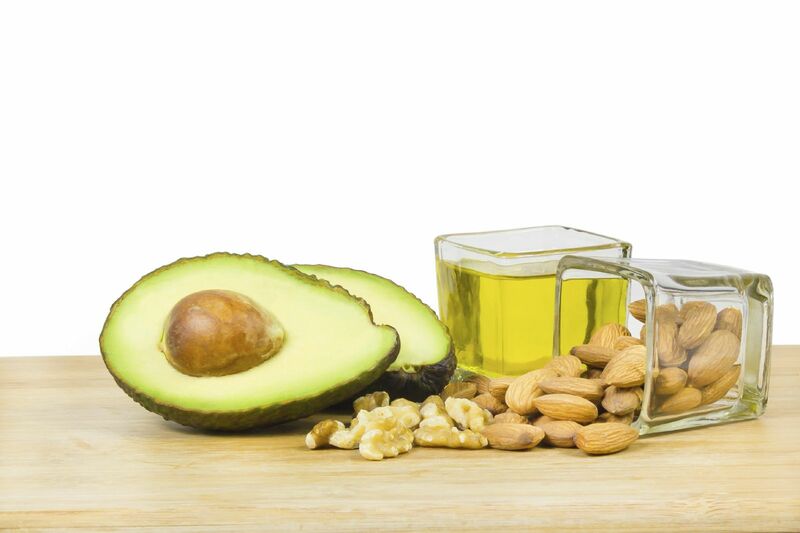 Just as there are "good carbs" and "bad carbs," there are good fats and bad fats. Mediterranean-style diets emphasize healthy fats and healthy carbs. Saturated fat, trans fat, and cholesterol are the bad guys. Good fats are monounsaturated (found in olive oil, for example) and polyunsaturated (found in such foods as fish, canola oil, and walnuts). The Mediterranean diet advocated by Mollie Katzen and Harvard professor Walter Willett in Eat, Drink, & Weigh Less has a moderate amount of fat, but much of it comes from healthful monounsaturated fats and unsaturated omega-3 fats. It is high in carbohydrates, but most of the carbs come from unrefined, fiber-rich foods. It is also high in fruits and vegetables, nuts, seeds, and fish, with only modest amounts of meat and cheese. People living in Mediterranean countries have a lower-than-expected rate of heart disease. But the traditional lifestyle in the region also includes lots of physical activity, regular meal patterns, wine, and good social support. It's hard to know what relative role these different factors play — but there is growing evidence that in and of itself, the Mediterranean diet can reduce cardiovascular risk and the development of diabetes. For more on weight loss strategies, including best foods to eat and avoid, buy Lose Weight and Keep it Off, a Special Health Report from Harvard Medical School.